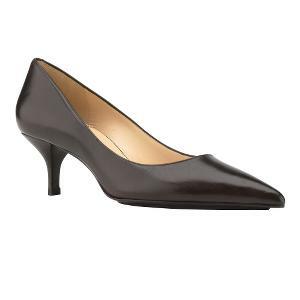 "Fine calfskin pump with beautifully concealed NIKE AIR cushioning." By Cole Haan, in three heel heights. Now if only Dr. Martens made something that looks a bit like this.